We all know Simon Cowell. Who doesn’t? Famous for his quote “What other people think about me is none of my business,” this judge has the potential to make his contestants weep before they start performing! While some say his ego is good for the singers, others think he’s just too rude, impolite and merciless. 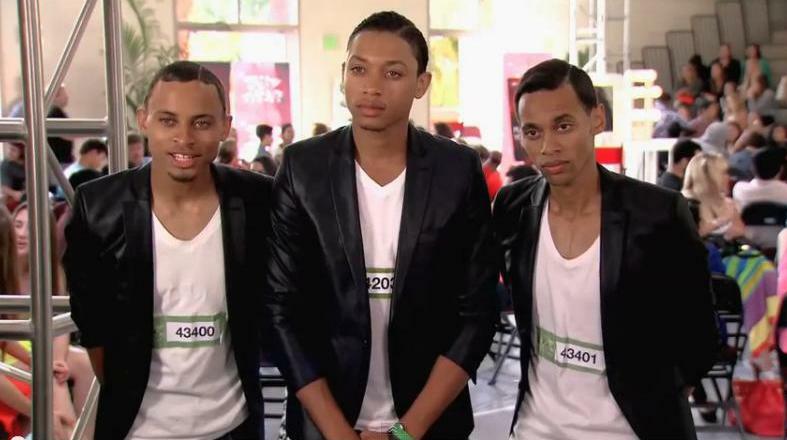 Now this post isn’t about how good or bad Simon Cowell is, it doesn’t matter anyway, this post is about AKNU, a musical group consisting of three siblings from Los Angeles, California. AKNU (pronounced as “anew”) is an acronym for ‘A Kind Never Understood’. It’s a band of three siblings named Marquis, Mark and Rayne. Their father always encouraged them to perfect their singing and dancing talent before he passed away. Rayne, who is the youngest, began training from the age of four. After their father passed away, the little boys lived in shelters with a dream of making it big someday. Their chance came in form of 2013’s The X-Factor. I just can’t stop watching them! I think that they are amazing. Please keep that music coming. I very rarely comment on posts but, Simon Cowell you are a real *****. I’m glad you had to eat your words. How do I get to watch this video ? What do you expect from a man bangging soemne else wife!!!???? having $$ doesn’t mean you have sense or class!!! DO NOT CLICK ON THIS. iT IS A VIRUS.